HHL Leipzig Graduate School of Management, founded in 1898, was one of the very first business schools in the world. It ranks amongst the leading international management institutions. The goal of the university-level institution is to educate effective, responsible and entrepreneurially minded leaders. In addition to HHL’s international focus, th combination of theory and practice plays a key role in its educational approach. HHL stands out for its excellent teaching,its clear research orientation, its effective knowledge transfer into practice, as well as its outstanding student services. HHL - Leipzig Graduate School of Management uses innovative, interactive teaching methods which are characterized by a high level of problem-solving competence and sound methodology. Practical and decision-oriented approaches are combined with a thorough grounding in business and economic theory. Students at HHL - Leipzig Graduate School of Management develop strong social and intercultural competencies through practical projects, studying abroad, and a large number of foreign students. HHL graduates are highly competitive in the job market, demonstrated by the school's receiving more inquiries from recruiting departments of leading companies than there are graduates. The HHL - Leipzig School of Management offers a variety of scholarships based on merit. 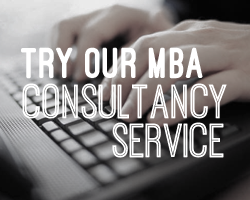 For more information, view available MBAs below or enquire here. Fill out your details to get in touch with HHL - Leipzig Graduate School of Management and find out more about their programs.